Love Tigers? 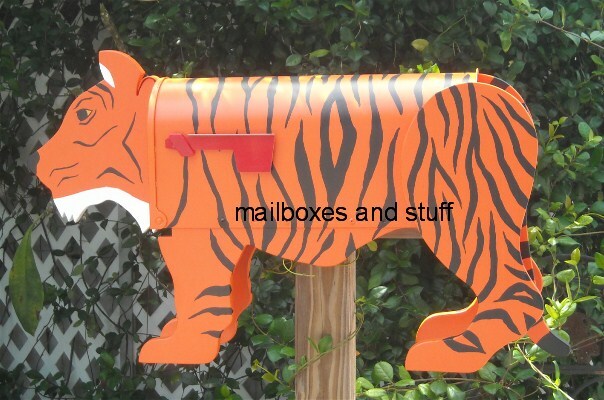 This unique NOVELTY Tiger Mailbox is just Perfect for any Tiger collector! 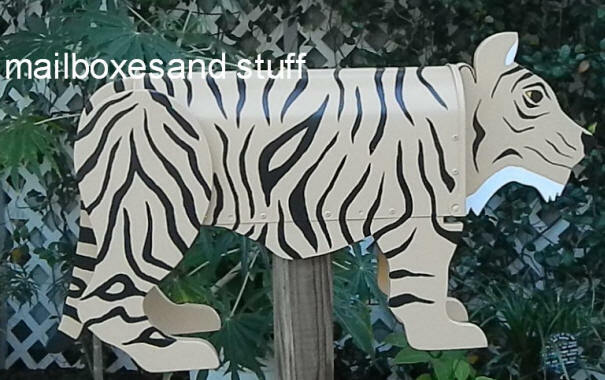 Our Hand painted novelty mailboxes look great anywhere and make wonderful animal theme gifts. We can include a mounting kit for you if you wish ..